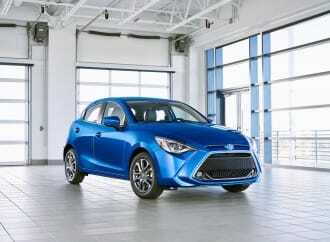 A legitimately fun-to-drive compact hatchback that will appeal to a wide variety of buyers. 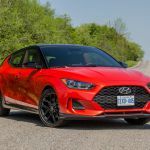 TORONTO, ON – Hyundai is big on quirky these days, and while certain products appear to be rather derivative of competition, niche models like the Veloster hatchback help the brand stand out, especially to younger buyers. 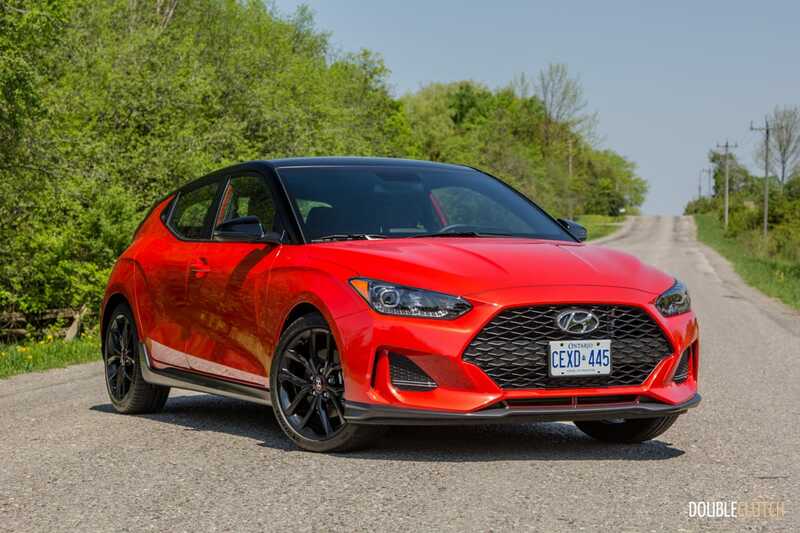 We were invited into the heart of our hometown of Toronto to spend a day in the all-new 2019 Hyundai Veloster Turbo and see just how it differentiates itself from the Elantra Sport (reviewed here) it shares many components with. 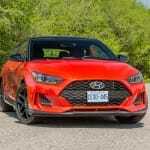 What has always stood out about the Veloster is the funky styling and interesting colour palate. 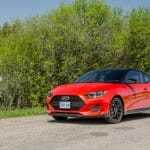 This second-generation car is no different, with choices such as Cobalt Eclipse and Tangerine Comet available. 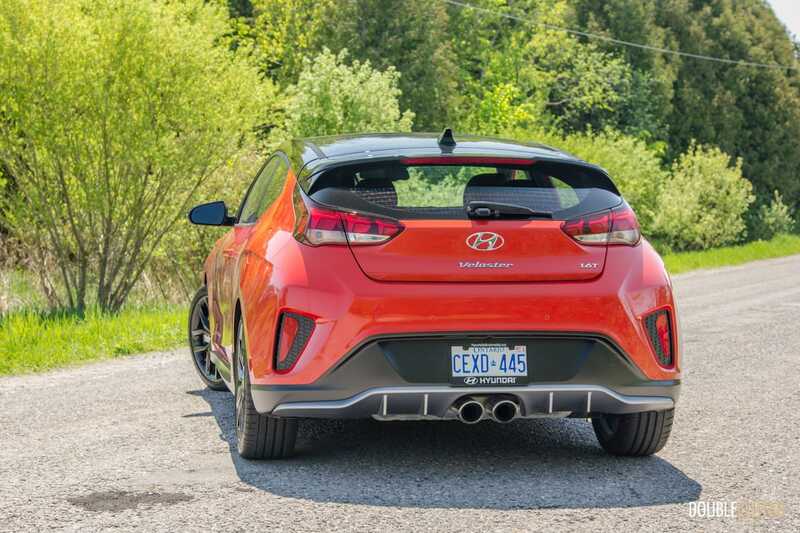 It also still only has one rear door, on the passenger side, making it a three-door hatchback if you don’t consider the tailgate; four if you do. 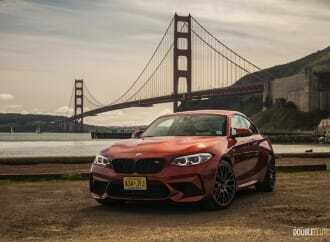 Subjectively, the second-generation car is more of a natural evolution rather than a whole new revolution. 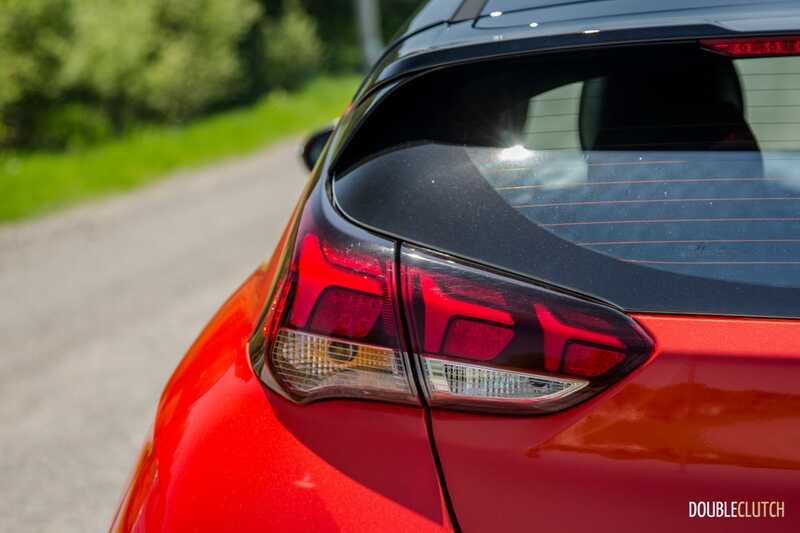 The handle to open the rear door is neatly tucked into the C-pillar, and the new fasciae (both front and rear) are nice to look at. 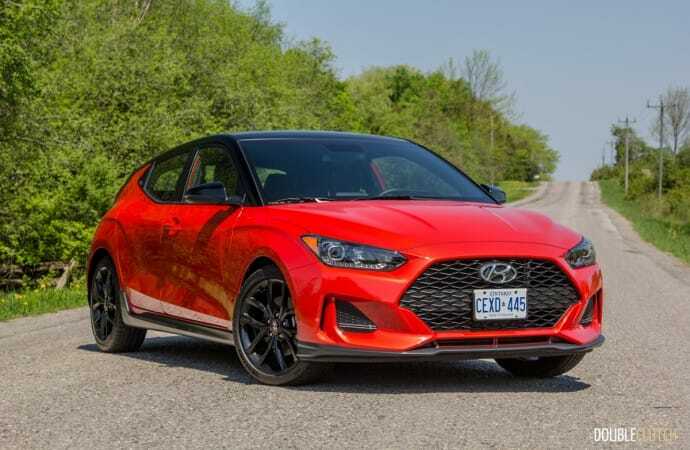 Though the real conversation piece in the lineup is the forthcoming Veloster N, which undoubtedly will be a Civic Type R (reviewed here) competitor, the “regular” Turbo is an exceptionally balanced option for the vast majority of buyers. A 1.6L turbocharged four-cylinder puts out 201 horsepower and at 6,000RPM 195 lb-ft. of torque from 1,500 to 4,500RPM. Two transmissions are available; a six-speed manual and a seven-speed dual-clutch automatic. 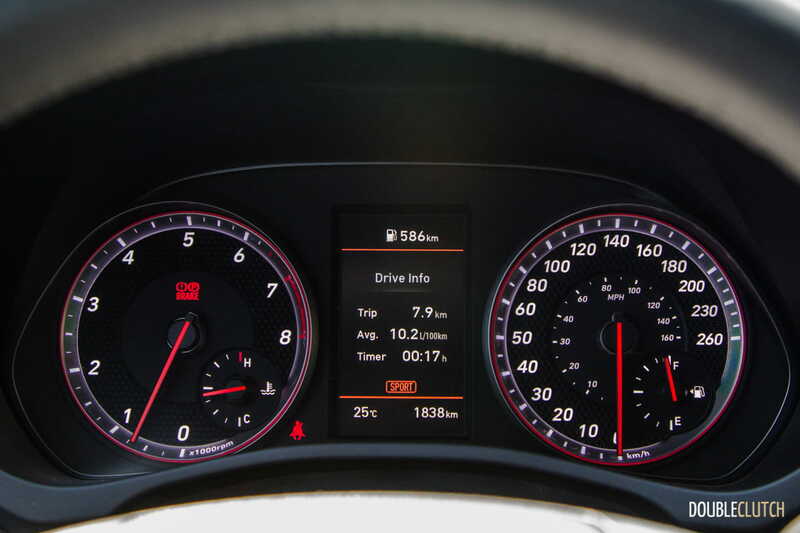 Undoubtedly there is a little bit of turbo lag off the line, but north of 4,000RPM the car really wakes up and is genuinely fun to drive. 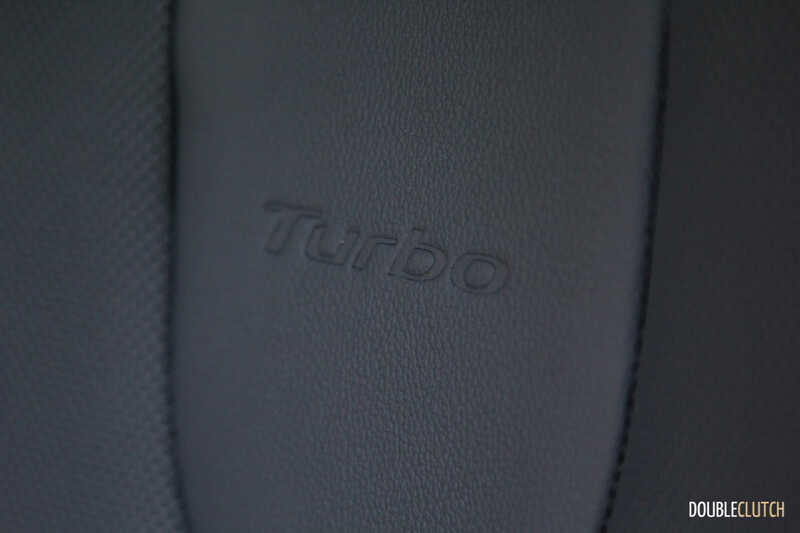 There is also an over-boost function that bumps peak torque to 202 lb-ft. when pushed, and it’s definitely something that is noticeable. 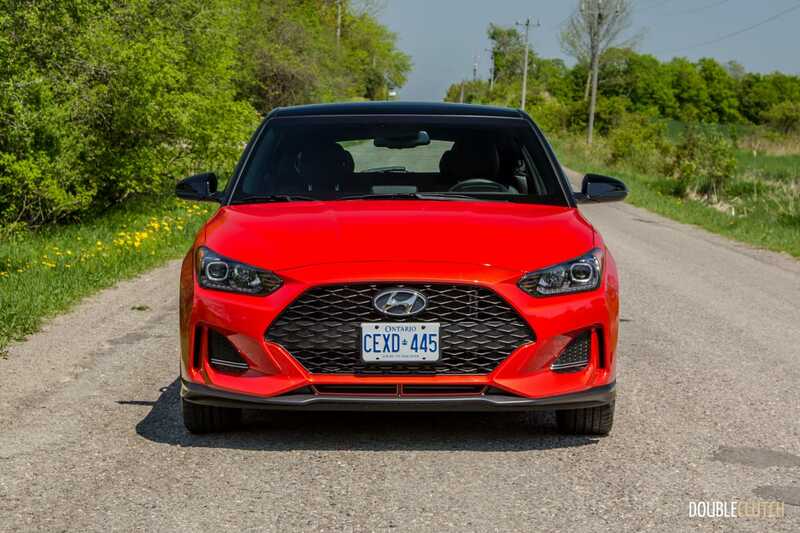 When pushing the Veloster through some higher speed sweepers, the front end tends to dart a little bit, but is still overall compliant. 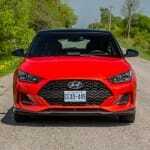 The base Veloster offers a 2.0L Atkinson-cycle four-cylinder with 147 horsepower at 6,200RPM and 132 lb-ft. of torque at 4,500RPM. 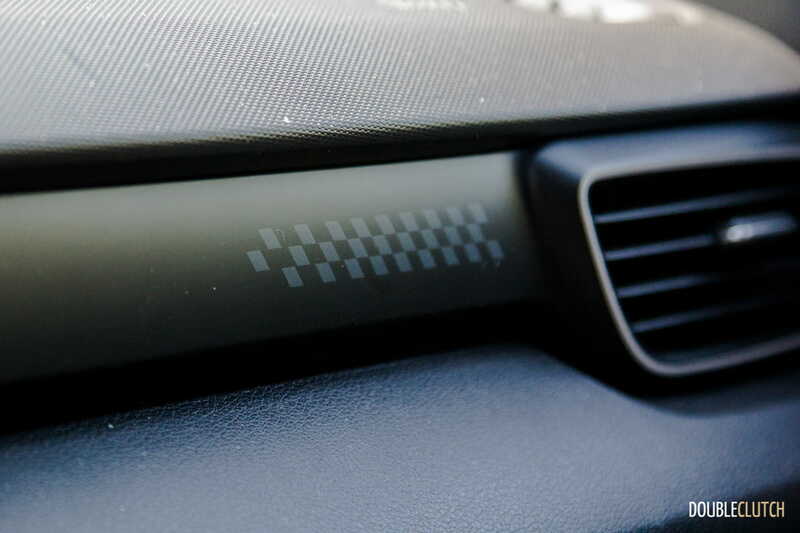 The power number here is up 15 horses from the outgoing car, which was legitimately sluggish. 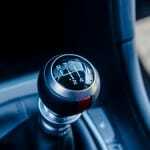 This one is available with a six-speed manual and a six-speed automatic. 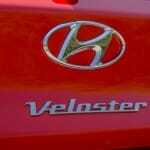 Think of this as car as an Elantra GT (reviewed here) with added style; all in a package that gets excellent economy. 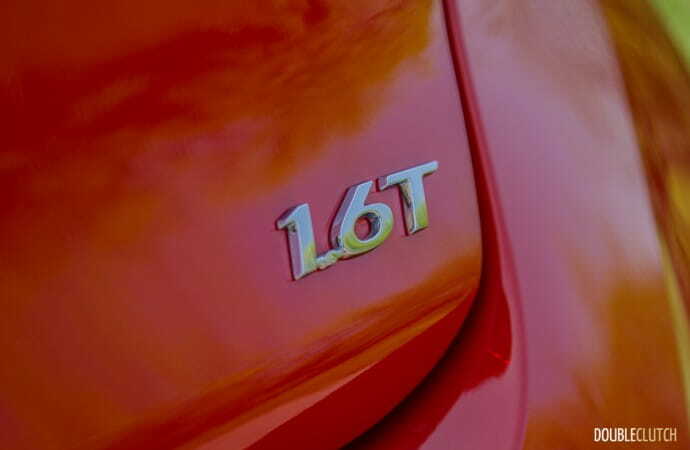 Efficiency is rated at 9.1L/100km city, 7.1L/100km highway, and a combined 8.2L/100km for the 2.0L automatic. 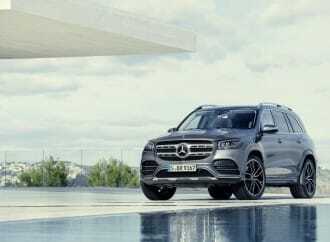 The 1.6T with dual-clutch gets 8.5, 6.9, and 7.8L/100km, respectively, meaning the turbocharged powertrain is actually the more efficient one. 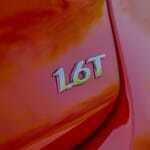 The 1.6T manual is marginally more frugal than the 2.0L manual too, averaging 8.3L/100km combined. 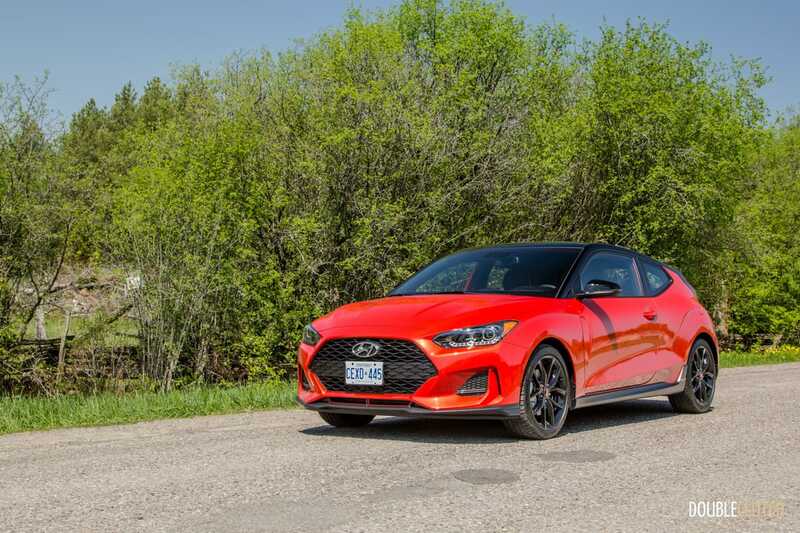 These power numbers put the Veloster Turbo right in line with the Civic Si (reviewed here), but that model can only be had as a coupé or a sedan. 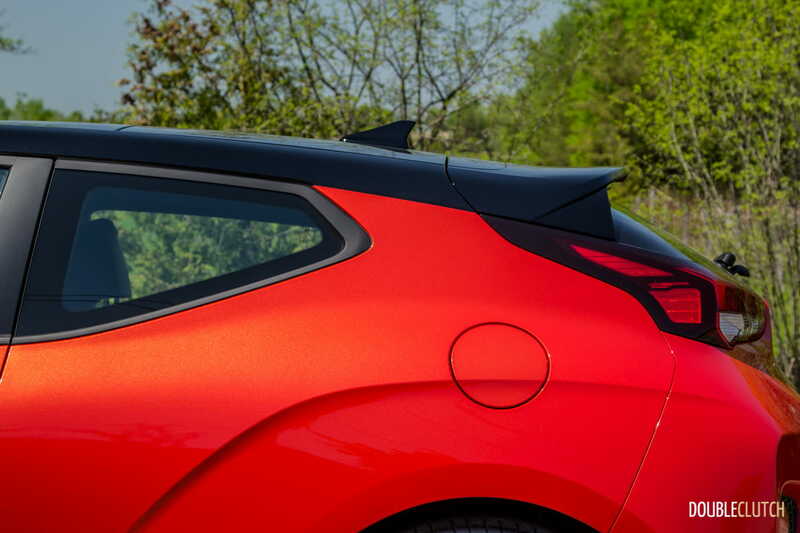 Wanting a hatchback reserves you to either the less-powerful Civic Sport or the full-blown Type R (significantly more money). The Veloster Turbo is not only more practical than the Civic Si, but just like I maintain that the Elantra Sport is the car I’d rather own over the Honda, the Veloster gets the same judgment. 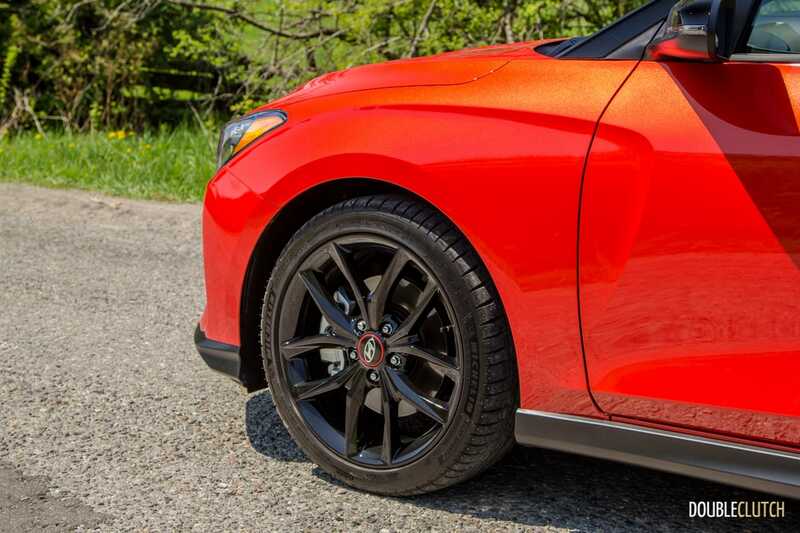 It may lack a limited-slip differential (only available on the upcoming Veloster N), but this won’t be noticeable unless the car is being driven at 10/10ths. 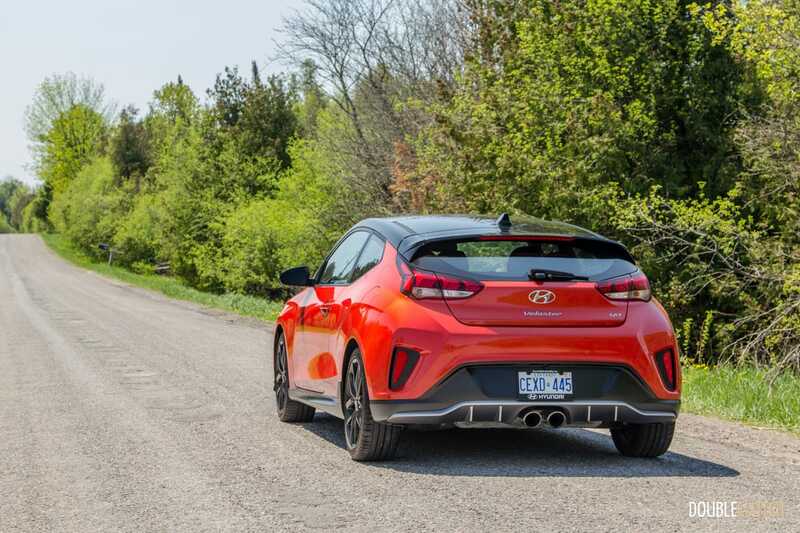 Both the naturally aspirated 2.0L on the base Veloster and the 1.6T have multi-link rear suspension and an excellent chassis, one we found to provide excellent balance on a variety of road surfaces. 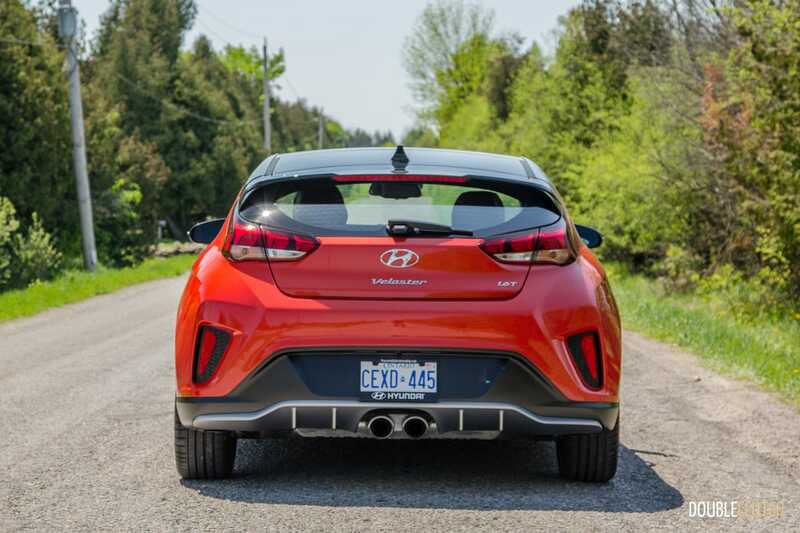 Regardless of driving style, the Veloster remains planted and exhibits confident. 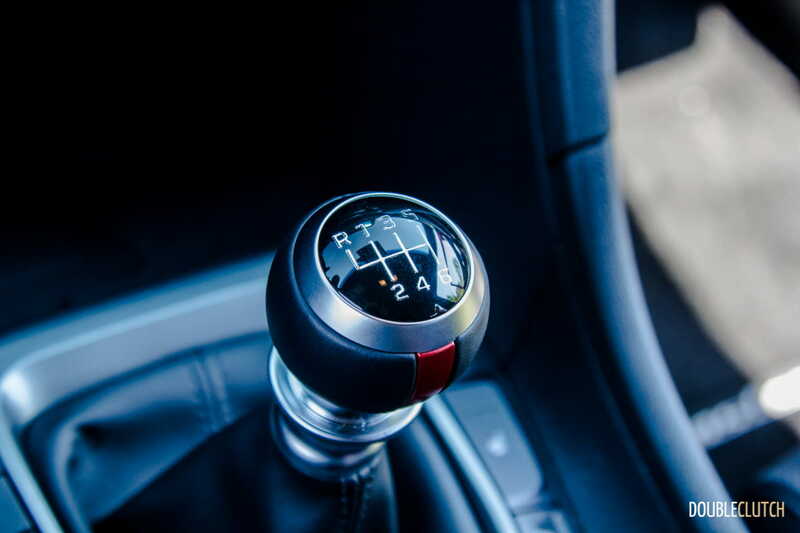 The electric power steering lacks analog feel of any sort, and is very light, but the car is tossable in the corners and provides solid enjoyment when pushed. 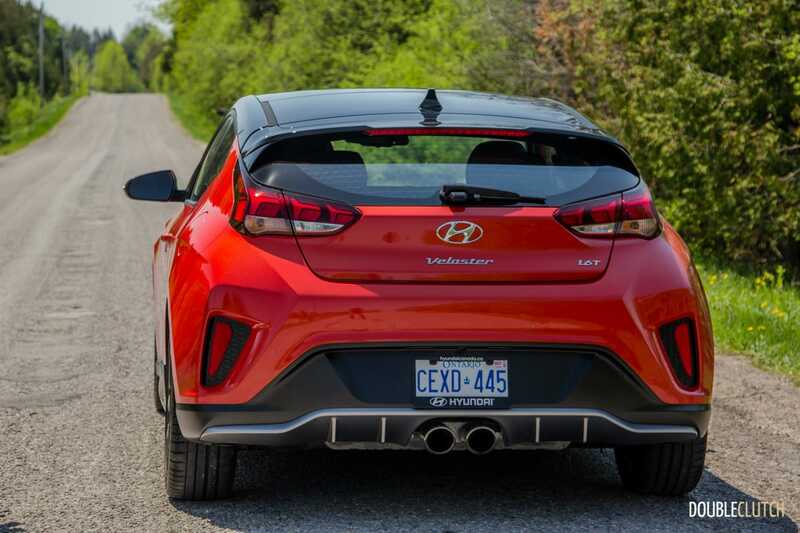 Behind the rear seats, the Veloster will hold 565L of cargo, and the rear seats fold down to reveal much more. 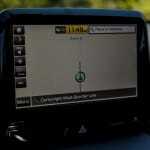 This is more space than the Beetle, MINI Cooper, and Honda Civic Coupé. More importantly, it’s more than Hyundai’s own Kona, Toyota C-HR (reviewed here), and Jeep Renegade. 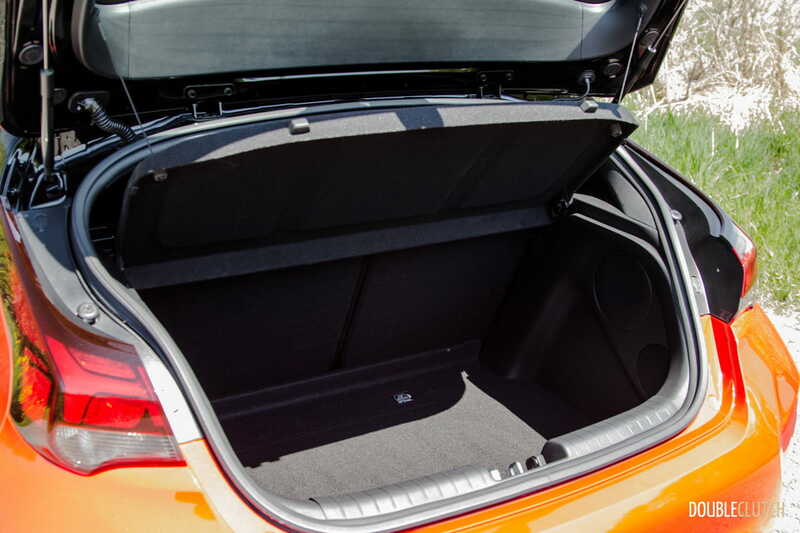 Rear passenger space is tight on headroom but totally manageable for a compact hatchback. 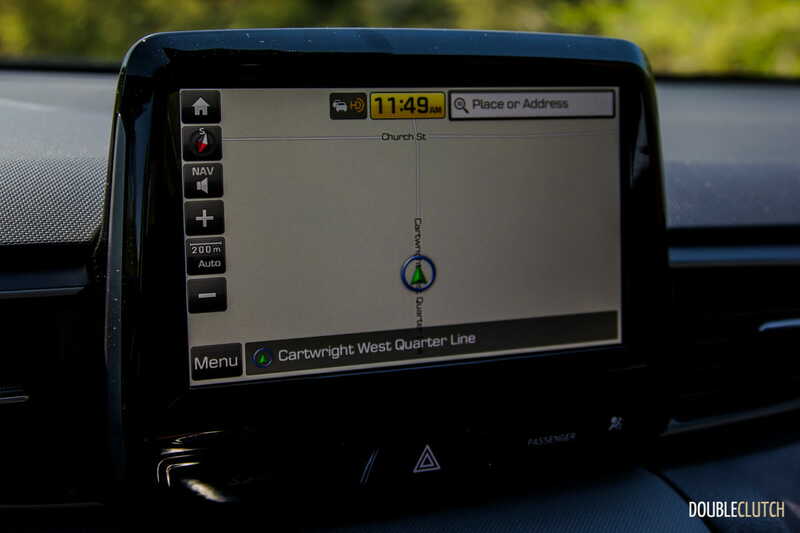 Front accommodations are extremely generous, with seat tracks that extend pretty far back; my driving partner and I were both over six-feet tall and we were very comfortable for the duration of the drive. 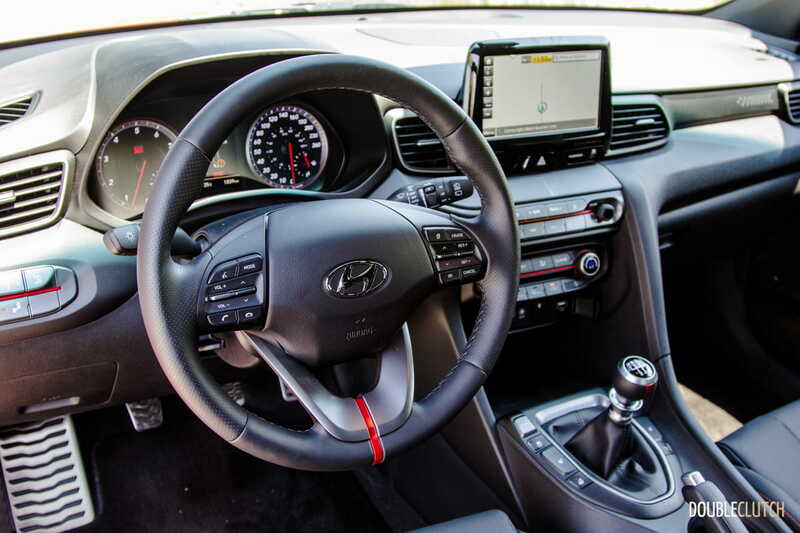 All Velosters come with a plethora of standard equipment. 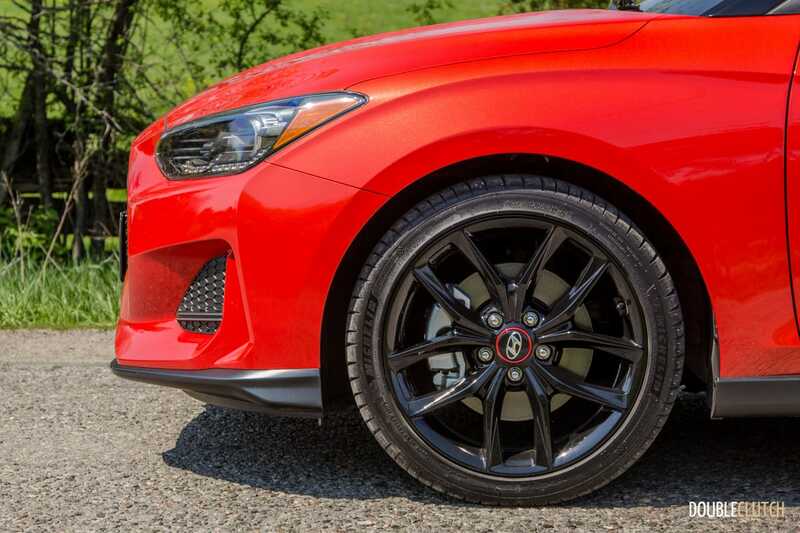 18” alloy wheels are standard, along with a 7” infotainment system with Bluetooth, Apple CarPlay and Android Auto. 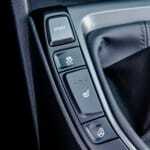 LED headlights and taillights are also standard, along with cruise control, blind spot detection, heated seats and steering wheel. 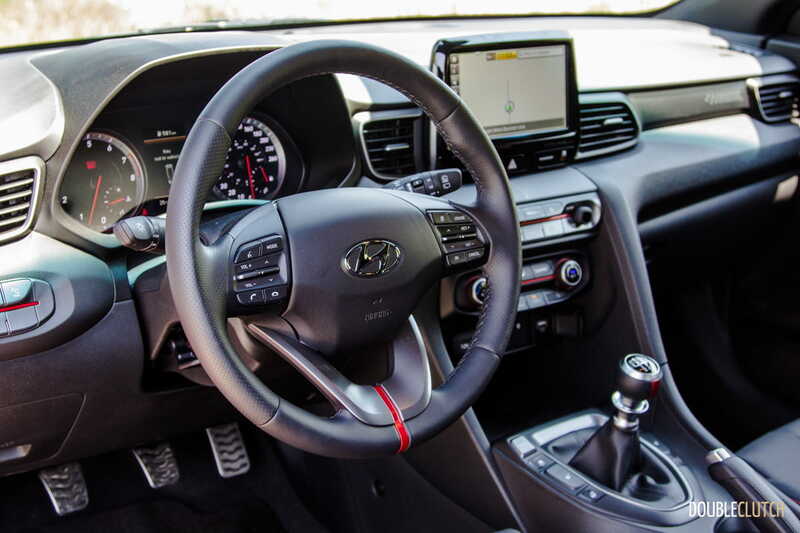 Additional options include wireless charging, leather seats, Michelin Pilot Sport 4 performance tires, heads-up display, automatic climate control and much more. 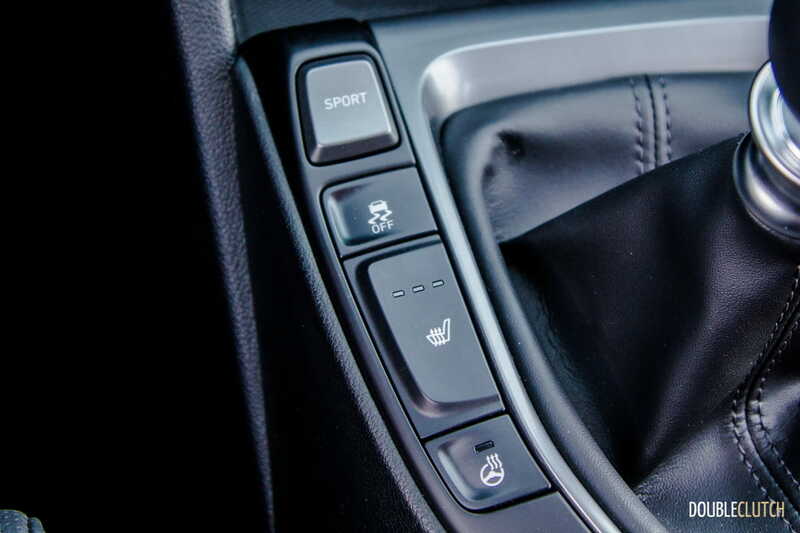 Hyundai’s BlueLink connected system is also available, and allows you to remote start and unlock your vehicle, control temperature control, and find your vehicle. 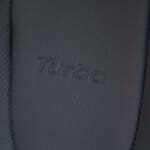 This is complimentary for five years. 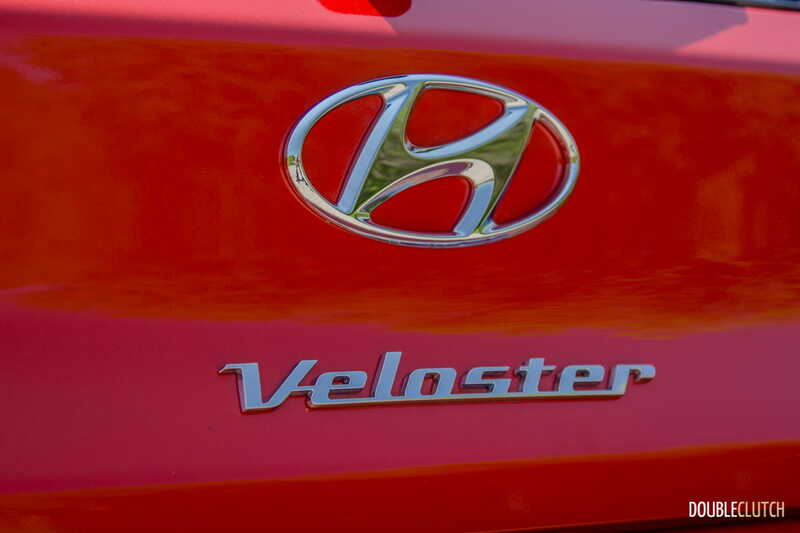 The Veloster with the 2.0L starts at just over $20,000. 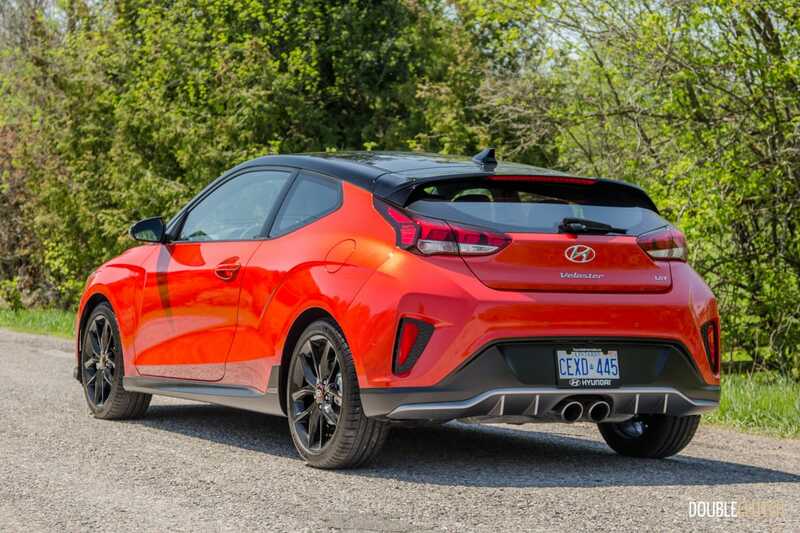 Pricing for the base Veloster Turbo starts at $25,899 with all standard features and the manual transmission. The DCT will be $27,399 with this motor. 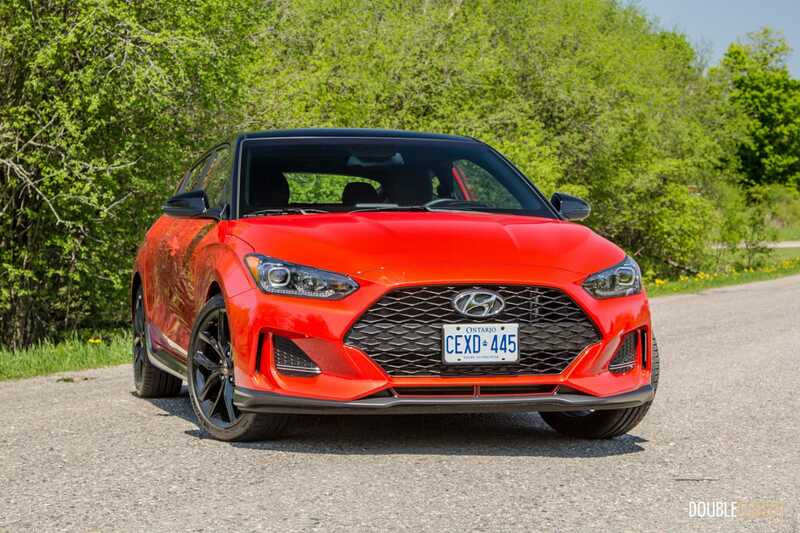 The Veloster Turbo Tech adds a heads-up display, Infinity eight-speaker audio system, an 8” screen with navigation and BlueLink, leather seats, and automatic climate control. 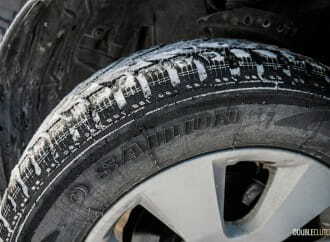 Both trims get a Performance Package (manual only) for dark 18” wheels and the performance tires. The 2019 Hyundai Veloster Turbo remains a fun-to-drive compact hatchback that will appeal to a wide variety of buyers. 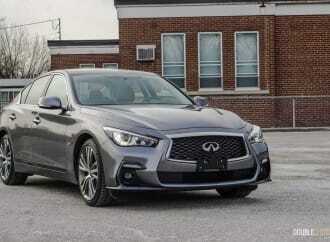 Its styling is the biggest stand-out, giving it an image unique from every single one of its competitors, even some that are in a higher price bracket. 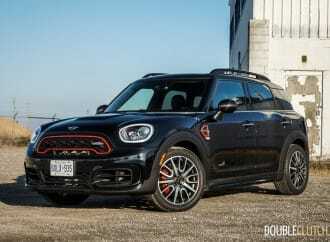 The second-generation car employs more conservative styling that still remains true to the model’s origin, but will be appealing to a wider range of consumers.